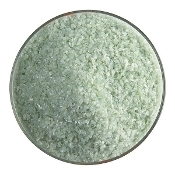 Bullseye offers jars of frit that come in five sizes: extra large (available in clear only), coarse, medium, fine, and powder. 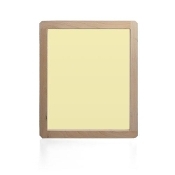 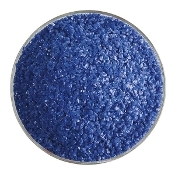 Extra large frit (-0005): Grain sizes range from 5.2 - 30mm; granules are retained on a 4-mesh screen. 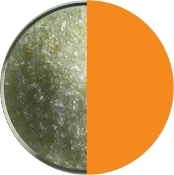 Coarse frit (-0003): Grain sizes range from 2.7 - 5.2mm; granules pass through a 4-mesh screen but are retained on an 8-mesh screen. 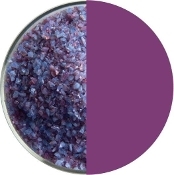 Medium frit (-0002): Grain sizes range from 1.2 - 2.7mm; granules pass through an 8-mesh screen but are retained on a 16-mesh screen. 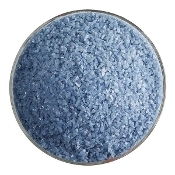 Fine frit (-0001): Grain sizes range from 0.2 - 1.2mm; granules pass through a 16-mesh screen but are retained on an 80-mesh screen. 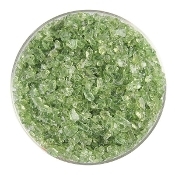 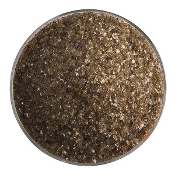 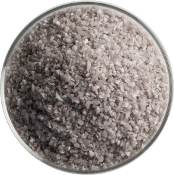 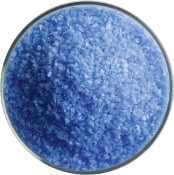 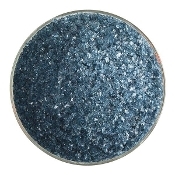 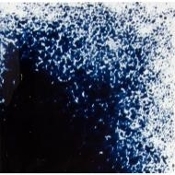 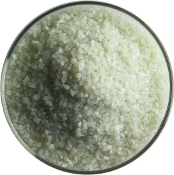 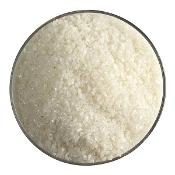 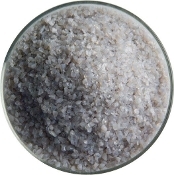 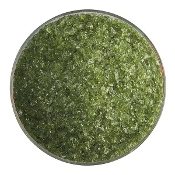 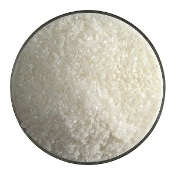 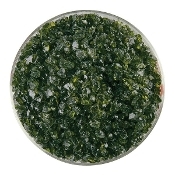 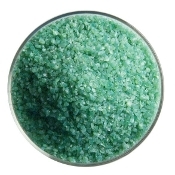 Powder frit (-0008): Grain sizes are 0.2mm and finer; granules pass through an 80-mesh screen.